Genus of one species of monoecious, evergreen coniferous tree or shrub in the Podocarp family. Full sun - shelter from midday sun and strong winds. 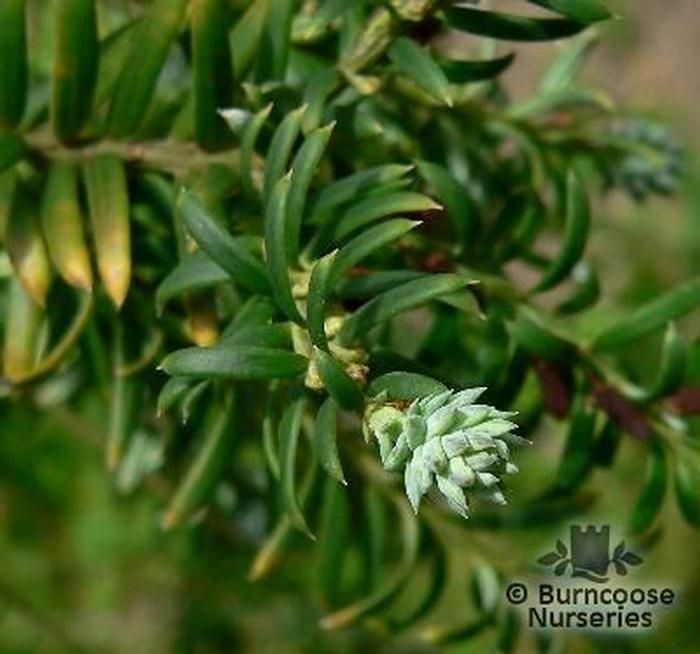 Additional Features	- Good to know - yew-like coniferous tree or shrub with braches in whorls. Commonly known as: Prince Albert's yew.